In the previous post, I had shared about the various mac security tips, which included securing the password, antivirus programs, security and software updates etc. but there is one more important security feature that would help you to keep your data safe and confidential if the mac is stolen or lost. 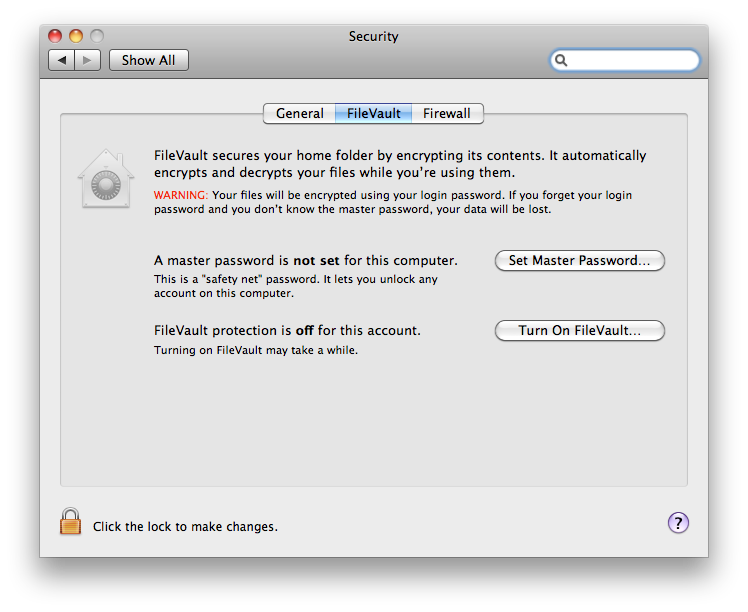 Its FileVault feature in your security settings in mac, that encrypts the home folder of your mac which can be accessed only when you are logged-in. The encrypted file is usually not accessible, and if at all you are backing up your data using Time Machine, there too the backup file gets encrypted and unreadable. The encryption and decryption of the files while you are browsing is all automatic. And the different users in the same mac can create their own encrypted home directories, and these home directories are placed as separate disk files. 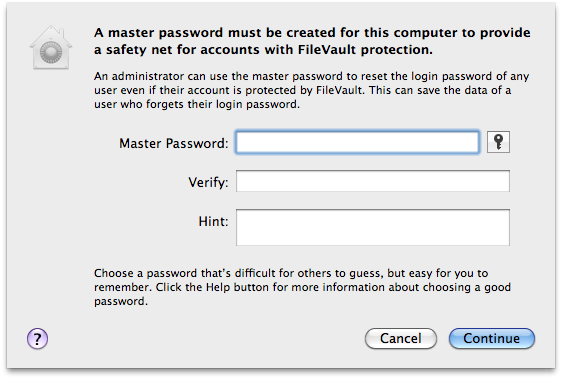 The filevault program uses a master password, which can be used even when users can access the encrypted disk image folders which when they forget the original password. But if the user forgets both the passwords, there is no way of access to the encrypted folders. This is one of the best uses when the user has lost the laptop. 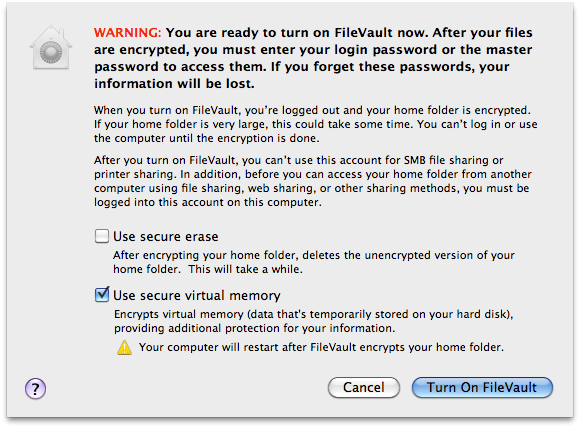 * The FileVault program uses login password initially to encrypt the files. If you forget the login password, and don’t know the master password too, then the data would be lost. Open System Preferences. In the first Personal section, select “Security“, and in that, go to the 2nd tab i.e. FileVault. Set the master password for your mac, by first authorizing by entering the login password. And after the master password is set, you need to turn the filevault on, so that the system restarts automatically and starts the encryption of your home directory. You can not use the computer or login, until the encryption process completes. You can choose to erase the unencrypted home folder after the process is completed, or keep both active.